The National Football League is implementing Green GO Digital Intercom across its Instant Replay and Injury Review systems this season. Through extensive testing, Green GO has modified existing products to more closely align with the NFL’s specific requirements. 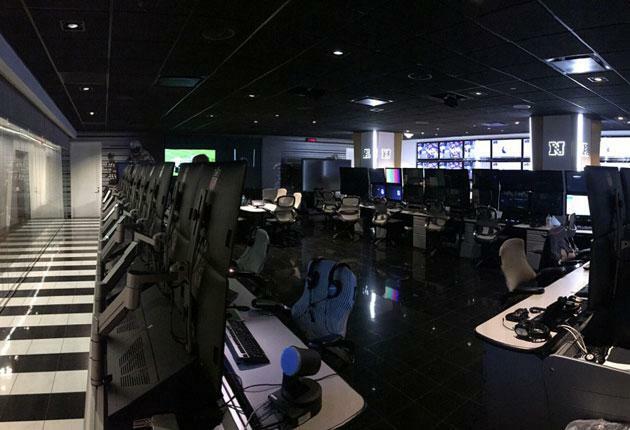 “We’ve been extremely pleased with the responsiveness and flexibility of Green GO and Nova Lume in developing products and software to meet our needs”, says John Cave, Vice President of Information Technology for the NFL. “It is important to us for Green GO to develop a solution that would last for many years and become standard product instead of a custom solution.” Green-Go provides up to 32 channels with as many as 250 groups and 3,000 users, giving the League the ability to create discrete groups and user-to-user channels both on and off the field. The system’s ability to interface directly into the existing Official to Official radio system, along with a new two-user 4-channel rack mount desk, allows the Head of Officiating in New York to speak directly and privately to the referee on the field at each stadium. Green GO has also developed a 3-channel belt pack, a new Audio Interface with multiple connection options, and a new Bridge Interface, which creates a link between the two remote users at each desk in New York’s Art McNally Game day Central and connects them directly to the stadium. Furthermore, Green GO and its integrator partners are capable of accommodating last-minute changes with ease, relying on simple configuration software; for example, a channel assigned to an injury spotter allows the spotter to communicate with officials and the replay team in the case of player injury on the field, without interrupting or causing interference with the Instant Replay group. The new intercom systems has been deployed by Green GO, Nova Lume, Bexel, and Diversified Systems in thirty-one NFL stadia and other sites, including Tom Benson Hall of Fame Stadium in Canton, Ohio, Wembley Stadium in London, and the Art McNally Game day Central in New York.